A company logo is important as it is what enables the customers to know the exact kind of product they are dealing with. As such, it is important that a company has a good logo design. It is what their brand will be associated with so it should be as unique as possible. A logo is what the customers will always associate with that particular product. This is why the logo design must convey the message that the company wishes to send. If it is a food company then the customers must associate it with something sweet that they will always want to buy. Likewise, if it is a mechanical tool then the logo should portray a strong and durable image in the customers mind. To get the perfect logo design, it is important that one hires a logo designer that is capable of producing the end results that they need. Ensure that you hire a company that is experienced in making logo designs. This will enable you to get a unique logo that you can use for several years without having to change it. Changing a logo can often confuse customers and make you lose market. Therefore, having an experienced logo designer create your logo will go far in ensuring that you have something attractive as well as durable. 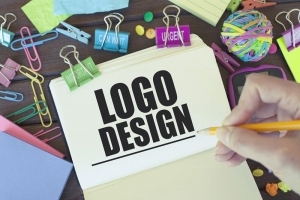 Before you create a logo, ensure that the logo design is not being used by another company. This could cause your customers to get confused not to mention the fact that you will most certainly get sued for using another company’s logo design. Ensure that what you have is the first and that there are no similarities to any other product logo. Apart from that, choose a logo design that will create a lasting effect on the customers’ minds. The mention of that product should be associated with that logo. Therefore it should be something attractive and easy to remember. If you have a boring logo, then your customers will have a hard time remembering it and associating it with your product. A logo also ensures that a company feels stable. This will in turn enable the customers to feel that they are dealing with a stable company. If a company that has been around for years does not have a logo, the customers will feel like they are dealing with a product that may not last for long. A logo however, makes the customers feel assured that the product is there to stay. A logo that is uniquely designed will make the company stand out amongst any competitors and with the customers as well. Customers are more likely to trust a company that has a logo than that which does not. Apart from that, it creates brand awareness. This means that the logo will be associated with all the products that the company makes. If a company makes more than one product, a logo enables them to be able to have customer loyalty. More of their customers will buy other products from the same company since they will associate it with the other products. They will look for authenticity of these other products by looking at the logo. If one is looking to get a good logo design, they can always look for ideas from the internet. These ideas will enable you to create a picture of what you would like the logo to look like in the end. In addition to that, they will also give you ideas on how to make it catchy and attractive to the clients that your product is designed for. It is important that one realizes that a logo should be simple as it is memorable. A complicated logo will cost you a lot to make and it will probably not be worth it in the end as the customers will have a hard time trying to recall it. You should also ensure that it is appropriate for the product that it is intended for. For instance if it is a product made for children you can try something funny and childlike like a cartoon character. This is what will make it memorable in the customers’ minds. During your logo creation process, ask for second opinions from several people so that they can give you their opinion of what you should do. It would be futile and a waste of time to create a logo that everyone finds repulsive. When looking for logo design ideas, look at the companies that have memorable logos and get ideas from them. During this process, you should avoid getting clichés for you logo as this will just make it look like you have not put a lot of thought in creating the design. During the design process, you should also have several sketches around so that you can be able to view your progress. This way, if you have different ideas, you can place the new ideas on different sketches to see the outcome. This will ensure that you do not start a new design from scratch if you have a different idea that you would like to include. If you are creating a logo that is for a product that has competition, ensure that the logo is as different from the competition’s logo as possible. Making a similar design will confuse your customers and you could end up losing them to the competition. Always give ample time when designing a logo. If it is designed too quickly, the end product will be shady and the customers will not find it attractive. Furthermore, if you have a logo that the customers find unattractive, you will be required to either change it or stick with it forever. Changing a logo too many times is not a wise move. As such, ensure that the logo designing company you choose is skilled in the art. Always choose a logo design company that is authentic and has the skills to give you what you want. In addition to that, ensure that the pricing is right so that you may get a good logo for the right price.